Hoax? Forest? Hmmmm. Deadline confirms Castle Rock will be another “limited series” for Hulu in the vein of 11.22.63, this time based on King’s short stories, and adds that it will be written and executive produced by Sam Shaw (Manhattan). 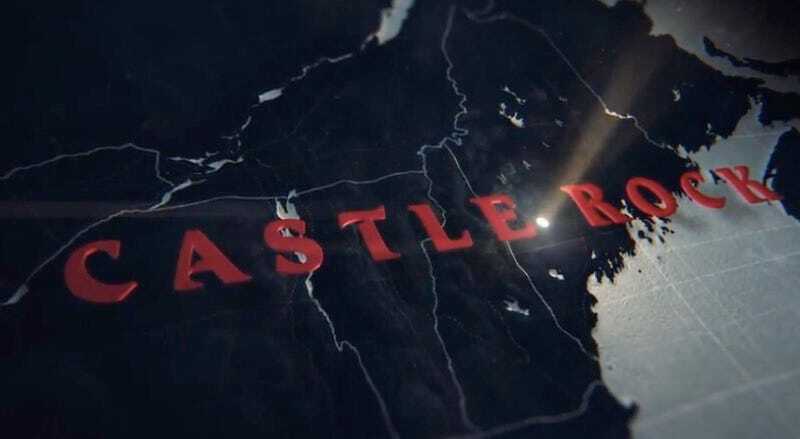 The Hollywood Reporter further added that the show will follow an anthology format, and “will weave together characters and themes from those novels that use the Castle Rock location.” Subsequent seasons would then follow a different set of characters and storylines, but would also link back to seasons that came before. We don’t know much else about what to expect (or when), but this enigmatic teaser offers a solid reminder of how much of King’s writing has become a huge part of pop culture—not just in the horror genre. Castle Rock, of course, is the fictional town in Maine that’s been a part of King-ology since 1979's The Dead Zone; it’s where works like Cujo and Needful Things take place, and is mentioned in passing even more frequently, as in the King short-story adaptation that became Stand by Me. And, obviously, it’s in the same geographical region as places like Derry, where the sewers are home to It’s Pennywise. The tone of this Castle Rock teaser certainly suggests something spooky will follow. We’ll be keeping a close eye out for more to come from Abrams and company.